I picked up Angelbound because the premise sounded interesting. A part demon slave girl who fights to the death in the Arena but also attends high school? A love interest who was part angel? Sign me up! Everyone knows angels are my favorite supernatural race! 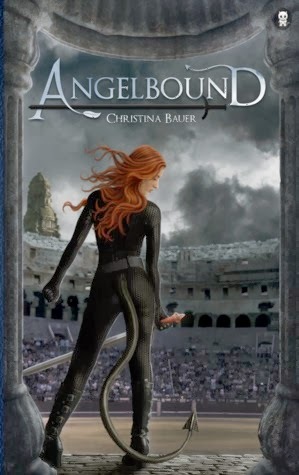 But I was unprepared for how much I was going to love Angelbound. I read what is not a short book in 3 days, partly because I stayed up way too late on two of those days reading it. The world is complex and unique. Five races live in five different realms---angels in Heaven, demons in Hell, undead ghouls in the Dark Land, quasi-demons in Purgatory, and demon-hunting, half-angel Thrax in Antrum. Angelbound takes place in Purgatory, the land where human souls go to be judged, where the quasi-demons live under the rule of the ghouls. While quasi-demon slavery is a problem, it does lead to much hilarity when main character Myla mocks her overlords or goes to a high school where all lessons ridiculously revolve around serving ghouls. Myla serves in the Arena, where she faces souls who choose to be judged by combat, usually because if they were judged by their deeds, they would go straight to Hell, so she gets to encounter all the other races as well. The plot was suitably epic, dealing with the balance of power between all the races, which Myla ended up right in the middle of because of her role, her family, and super-special-secret stuff about her. Honestly, the plot was so huge and life-changing, I'm wondering a little bit what's left to cover in the next books, but there was suitable prophesy that even greater things will be happening, so I'm excited. And as for the romance... It was compelling. It was believable. It was completely secondary to the plot. In short, it was awesome. I mean, we didn't even meet Lincoln until quite a ways into the book, and I was already hooked for completely second reasons. But I was still excited that Myla got a boy. I mean, we could have been upset that Thrax prince Lincoln was extremely rude to Myla when he first meets her and think that this is not how a relationship should begin, but we secretly want all books to be Pride and Prejudice, so we decided to let that go. As an author, I feel compelled to comment upon the book's publishing company, Ink Monster, mainly because their publishing model is not one I've seen before. You can get a more detailed idea of who they are by reading the Manifesto on their web page, but basically their idea is to be a company who creates books for readers. Instead of putting out an author's work, they have a team people who work on a fictional world, with a guarantee of new content out every six months. Now, I confess that part of me looks at this and says, "Nu! Books are an author's art! How can they go against that?" But another part of me thinks the idea is kind of cool. I mean, as a fantasy author, I make up tons of world, and I don't necessarily have the time or ideas to turn them into full-fledged plots on my own. And I think it would be awesome to have a full time job where I worked with other authors to create something. And as a reader, I of course love the idea of new content every six months, when as a writer I know that, for me, at least, such a timeline is not feasible. And Ink Monster must be doing something right, because they had two books out this past week, and I, crazy forthcoming book stalker that I am, had heard of both books before their release. 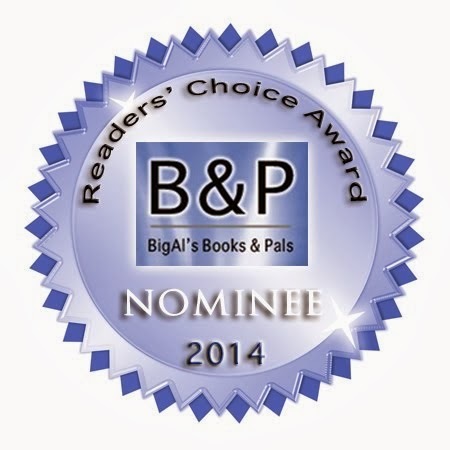 So best of luck to them, from my vantage point of waiting excitedly for the Angelbound sequel out in May! I received a free ARC of Angelbound in exchange for an honest review.